For the second consecutive year, a Purdue team will undergo a mission at the Mars Desert Research Station facility in Utah, conducting a number of experiments and living life as though stationed on the fourth planet from the sun. Cesare Guariniello, crew geologist on last year’s Boilers2Mars team, is team commander this year and an aspiring astronaut. He said improving technical expertise and knowledge is only part of the preparation to travel one day to the red planet. The six-member team was selected by Purdue MARS (Mars Activities and Research Society) to take part in the simulation mission. 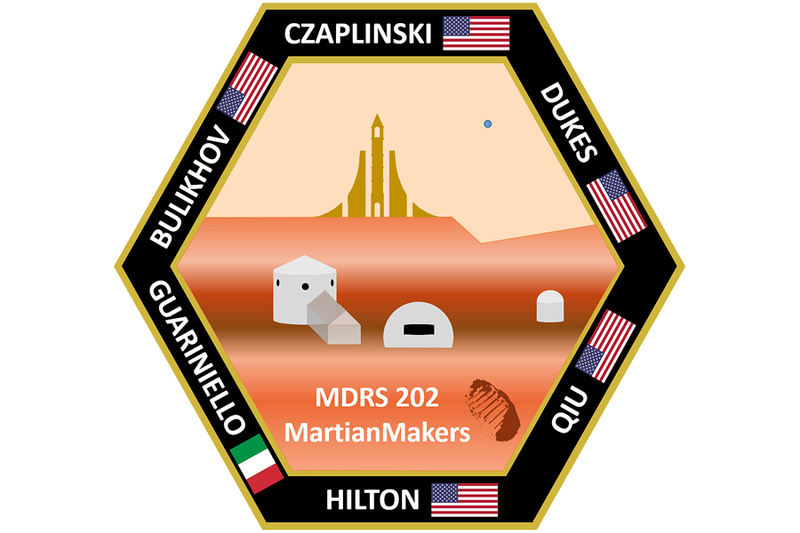 The team, called MartianMakers, will take over control of the research station on the evening of Dec. 30 and pass it on to the next team on Jan. 12. Alexandra Dukes, crew journalist and AAE master’s student. Denys Bulikhov, executive officer and doctoral student in Industrial Engineering. Kasey Hilton, crew engineer and senior chemistry major. Ellen Czaplinski, crew geologist. 2016 Department of Earth, Atmospheric, and Planetary Sciences alumna. Jake Qiu, health and safety officer and senior agricultural and biological engineering student. Overall, the mission team represents five different areas in the College of Science and College of Engineering. The simulation includes a variety of aspects that combine to make the experience as real as possible. The team cannot break simulation during the mission and must don a flight suit and a heavy air pack with helmet every time they perform extra-vehicular activities. Guariniello said accurate protocols must be followed for radio communications, including a large number of daily reports during a two-hour communication window with the volunteers at the Mars Desert Research Station Mission Control Center. Highly structured daily schedules are used and the team must work with extremely limited amounts of water, power and communication. Guariniello said the team has a number of experiments and research projects that team members will be working on during the two weeks. Among the work is analysis and mapping of radiation in the station area, crew reaction to stressful situations, the study of germs and contamination of plants/crew in the habitat and analysis of waste produced in the habitat. Some of it is computer-based while others will be executed directly at the habitat, such as bacteria collection and sequencing, and waste analysis. Guariniello said he was able to adapt to the same lifestyle during last year’s mission in a short period of time. 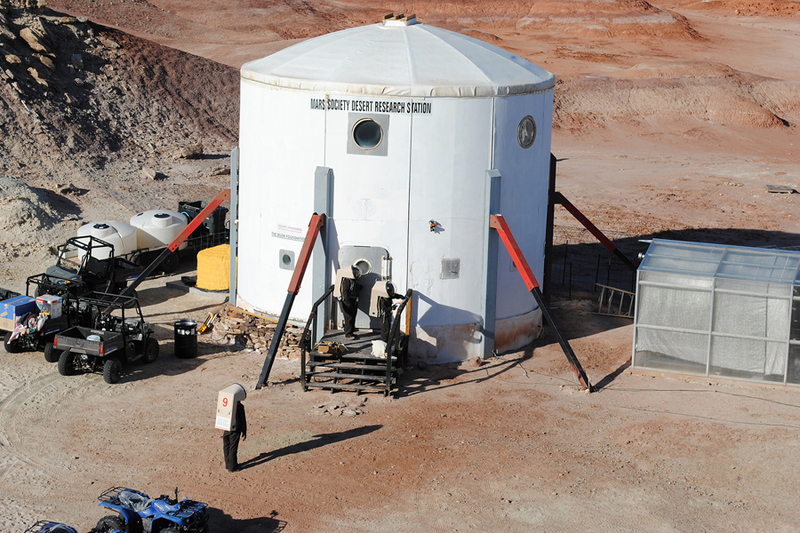 Built near Hanksville, Utah, by The Mars Society in 2001, the desert research station includes a small two-story habitat, an astronomical observatory and a scientific laboratory and greenhouse.